He will EAT your soul! That’s the threat that is received when The Witches, a supernatural horror film from Hammer Studios, opens as a school teacher at a mission school in Africa is quickly packing her things. There is trouble afoot and the tribal drums are an indicator of things to come. Quickly. The witch doctor is absolutely enraged by her white presence in the village and, complete with voodoo doll and voodoo superstition, we have an opening that is, at once, threatening and terrifying – especially when the classroom’s door is thrust open and in walks a whole community of angry, mask-wearing villagers. 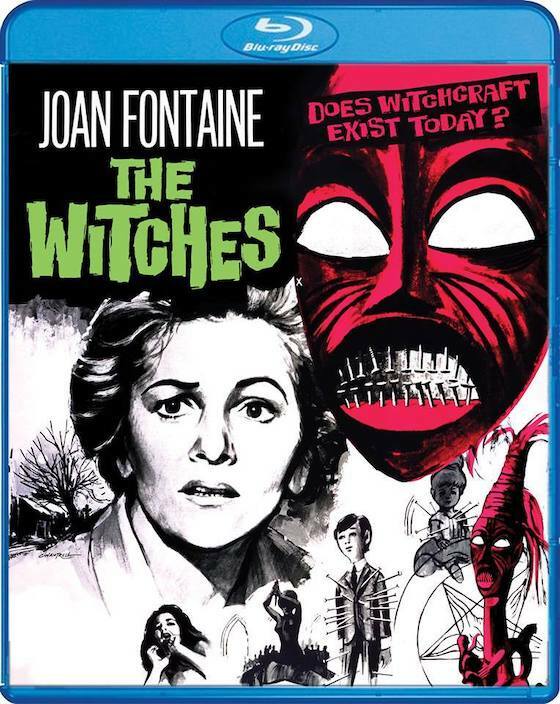 "The Witches is able to build some suspense inside its sunny setting, but as a Hammer production, the film falls flat." Joan Fontaine, in her final film appearance, is the English schoolteacher at the center of all the bizarre happenings. But that’s the beginning of the movie, and, truthfully, that’s as exiting as the film gets. I mean, maybe the sheep attack later in the movie might fire your juices . . .
. . . because this slow-moving flick is content with its sunny day stroll through the supernatural. As we settle into the main story, some time has passed since that scary occupation, and Gwen Mayfield (Fontaine) is approached by Reverend Alan Bax (Alec McCowen) about a new position in a small village. He’s a bit of a weird yawn, that one, but he does make a convincing case for her to return to the profession. Reluctantly, she accepts the position. She’s nervous; however, because of the shaman and the curse she was taunted with DID cause a nervous breakdown of sorts for her. But life in the small village, surrounded by other people, eases her mind. Even if the butcher has no problem skinning a rabbit in front of her. The thing is that she is happy in Heddaby. But when a mysterious thing happens, her discovery of there being no church in the town and that Bax lied to her about his occupation, other mysteries are bound to present themselves. The first is a report of abuse by one of her students thanks to an anonymous note, but there is a swift denial and then blame is assessed. It seems no one in the town wants Ronnie Dowsett (Martin Stephens) and Linda Rigg (Ingrid Boulting) together. But no one has a problem with the lone black cat that seems to wonder, following Mayfield around the town. And then Ronnie is suddenly in a coma. Could something in the town be doing this on purpose? 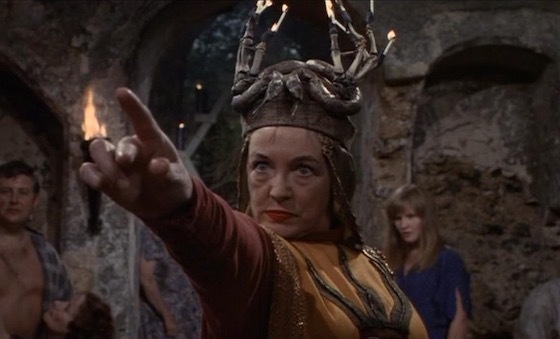 Suddenly, Ol Granny Rigg (Gwen Ffrangcon-Davies) is a target for suspected witchcraft. But could it happen in this tiny town? Add dolls to the mix and this small village is reaching the tipping point of paranoia at the hands of witchcraft. Directed by Cyril Frankel, The Witches is able to build some suspense inside its sunny setting, but as a Hammer production, the film falls flat. A couple of tense scenes does not a thriller make. Does witchcraft exist in the modern world? The Witches is Hammer Films attempt to explore the possibility of such a thing and Scream Factory, with a new transfer, brings it onto HD with its blu-ray debut. Tagline: WHAT DO "THE DEVIL'S OWN" DO AFTER DARK?. 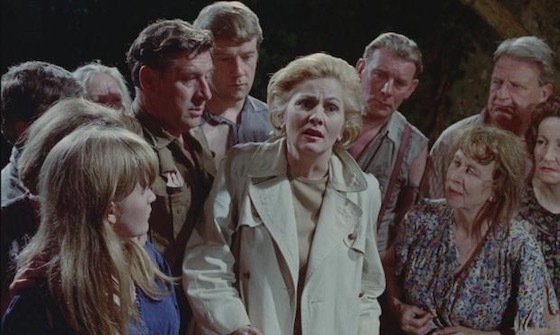 Synopsis: Haunted by the terrors of her experience with African witch doctors, school teacher Gwen Mayfield (Joan Fontaine, Rebecca) accepts an appointment as headmistress at the Haddaby School run by Alan Bax (Alec McCowen, Frenzy) and his sister Stephanie (Kay Walsh, Stage Fright). Gwen initially revels in the peacefulness she has found in the quiet English countryside but soon begins to sense "undercurrents." Before long, a local boy falls into a coma and Gwen discovers a voodoo doll impaled by pins. The danger that follows brings her face to face with witchcraft as a series of disasters unfold and lead her to the horrible truth. Presented with an aspect ratio of 1.66.1, it is the punched-up color you will notice first. The reds are delicious and the greens are fertile. The blues go deep, too. The village is bright and speckled with good detail. The transfer has the film loaded with details and fresh-looking life. The sound is presented in a choice between DTS HD MA Mono track. 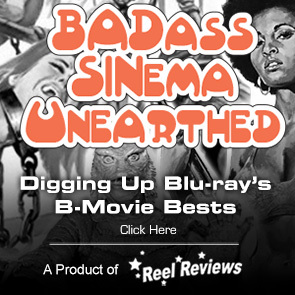 Provided by filmmaker Constantine Nasr and author/filmmaker Ted Newsom, the feature length commentary is actually better than the movie itself. Fans get the new commentary, a featurette, a theatrical trailer, and a still gallery.